You can't control being involved in an accident, but you can control how good your car or truck looks once repairs are completed. 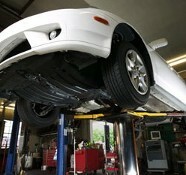 Entrust your automobile's roadworthy look to Automotive Collision. Your vehicle's post-accident attractiveness is never in doubt with professional work from our auto collision repair shop in Center, Texas. 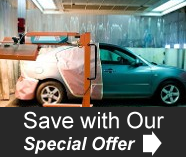 Be sure to contact us for an appointment for speedy auto bodywork. At 27 years in business, Automotive Collision has been restoring and repairing wrecked vehicles longer than any other auto collision repair shop in town. What's the secret to the success of our family-owned-and-operated shop? We put your needs first by standing behind our work with a 100% satisfaction guarantee. Our third-generation owner, who has been in charge for 10 years, has 20 years of experience in the industry. His experience allows us to further back our commitment to quality and your satisfaction. Call us today in Center, Texas, at (866) 708-4111 for more details about our auto body repairs and accessories.